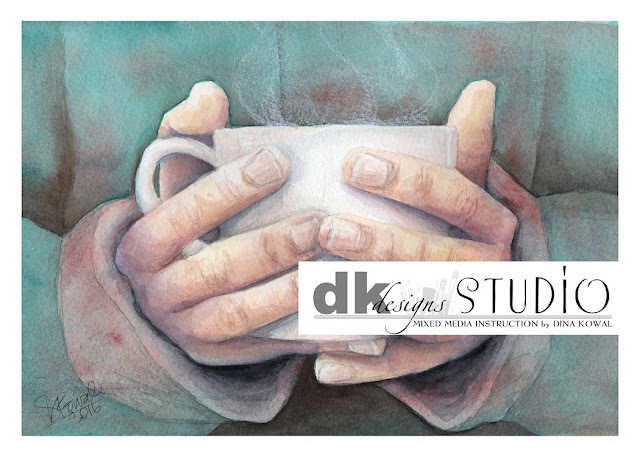 Dina Kowal Creative: Tea and Coffee Prints - new! Tea and Coffee Prints - new! 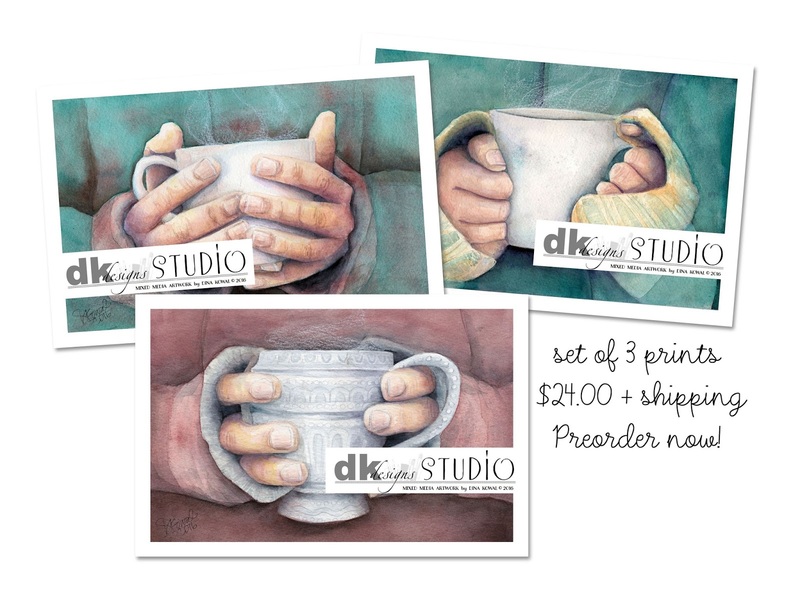 I've been working on a set of 3 watercolors over the last few weeks - since we moved I've gone through a period of self doubt when it comes to painting, so this set is a personal act of courage... and these are done just in time for sweater weather and the comfort of a warm drink! 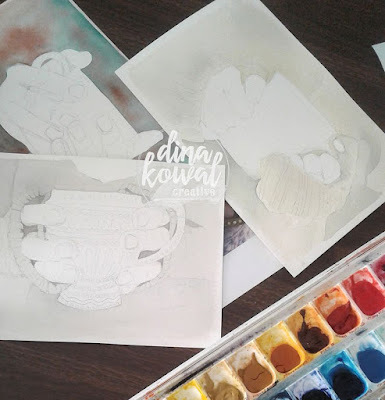 If you follow me on Instagram you can see the progression as I worked... I think it's fun to share that! There are times during the creative process that even I'm thinking, "There's no way that's going to work!" 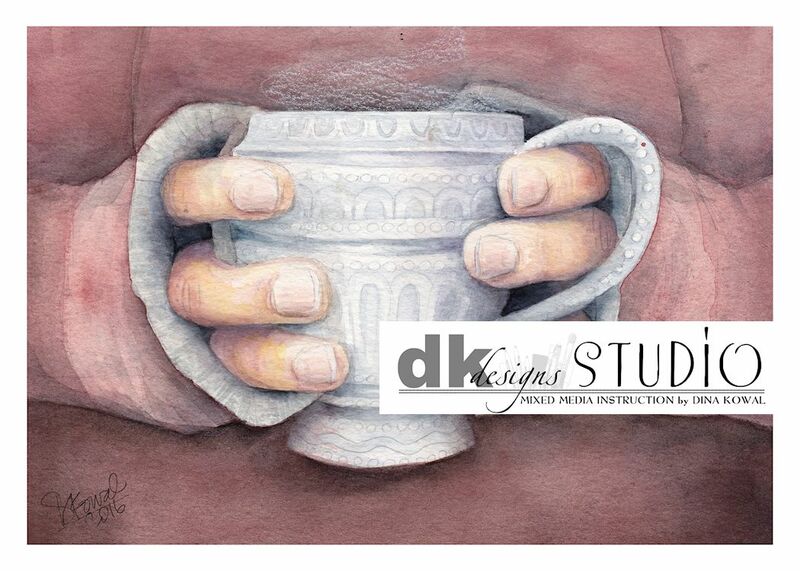 and it's always exciting to see all the layers of color come together into a detailed, realistic piece. The prints are ready to pre-order now - the two above are 5" x 7" prints, or you can order a set of 3 prints, each 4" x 6". All the other prints on my art page are in stock and available as well - they make great Christmas gifts, if you're thinking ahead that far. :) With our move, these will probably ship out in early November.